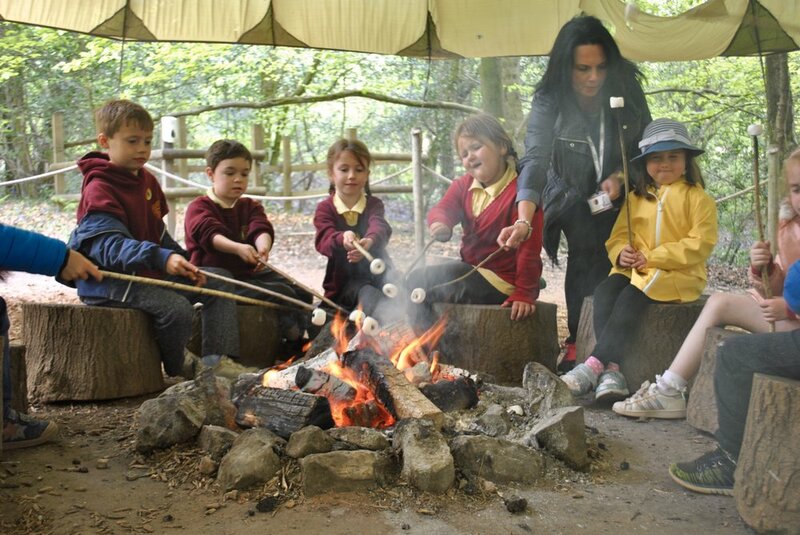 STANDARD SCHOOL TRIP £6.50 PER CHILD, INCLUDing GRUFFALO STORY, CAMPFIRE & MARSHMALLOWS, AND OVER 100 ACRES OF FRESH AIR FUELLED FUN!!! BOOK YOUR TRIP to take place BEFORE MAY 24th AND SAVE £1 PER CHILD WITH OUR EARLY BIRD OFFER! Call us on 02920 886666 for more information and to BOOK NOW! Bring your class to Mountain View Ranch for a day full of exploration, discovery and outdoor learning opportunities! With over one hundred acres of woodlands, meadows and trails to explore, the only limit on your pupil's learning will be running out of time and energy! 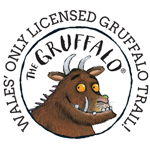 The Gruffalo Trail - you and your class can enjoy taking the exciting walk along Wales' first Gruffalo Trail, bringing this hugely popular story to life. Taking in hills, meadows and woods along the paths with willow characters, this trail is a favourite topic for many schools as it combines literacy with outdoor learning! Marshmallow Toasting at Bushcraft Creek - led by an experienced Ranch instructor this is a fun activity that all children love! It's not just about fun though, for many children this is a new experience and an opportunity to learn about fire safety. Risk assessments are available for this and all activities on request! Explore & Discover - You will have around an hour to take your class off to explore the Ranch fully equipped with our maps!! You're unlikely to cover the whole site but this is a great opportunity to visit one or two areas such as the Indian Village, Fairy Forest or the Den Building Area and run some of your own prepared activities that tie in with your current class topic such as fairy tales, creepy crawlies or dandelions and dens. Adventure Play Area - around 30 minutes of play time in our Huge Adventure Play Area! Reserved Lunch Areas - You will be given a 30 minute time slot between 11:30 and 1pm to have your packed lunch either in our Canteen, Marquee/Tent or if the weather is fine on a lawn or picnic area. You can check availability, book school trips and ask any questions by calling us. Alternatively you can send us an email containing a contact number and we will get back to you! Weather - trips can be postponed 24/48 hours in advance if the weather forecast is very bad! Minimum 20 per class, maximum 34 per class. Payment is strictly cheque or card on arrival. You only pay for the numbers on the day subject to the minimum. Call: 02920 88 66 66 or email: info@mountainviewranch.co.uk for more details!